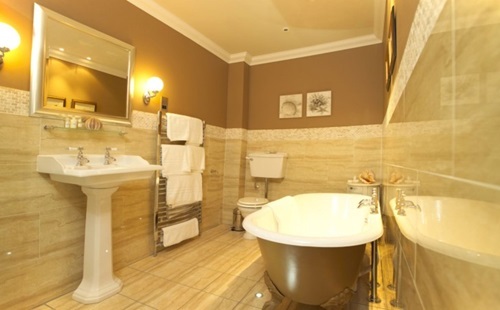 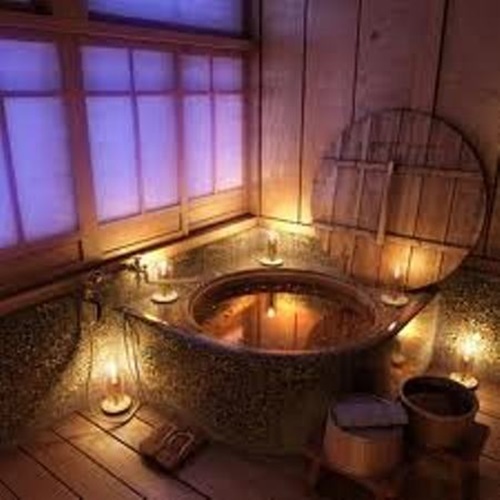 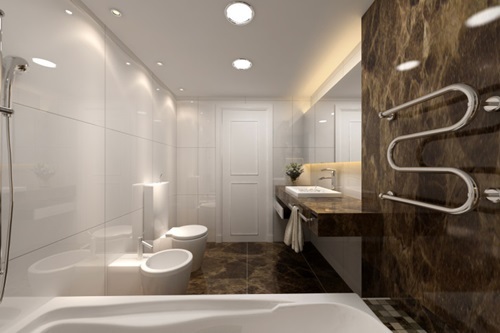 A well thought about bathroom design transform that small room in your house into a royal room that feels stunning every time you go in there ,an intelligent choice for all materials , colors , lights , and design make your bathroom a spectacular and an elegant room that retreats you every time you visit it. 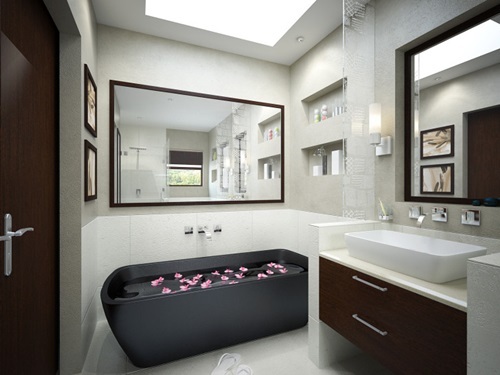 Imagine that you can transform your bathroom from a typical bathroom into a spa , imagine that you can pamper and revive your soul in your own house , the contemporary modern designed bathrooms are meant to be super relaxing to assure the house owner that all his needs will be fulfilled in the best way unlike the classic bathrooms that are not ergonomic and only serve its purpose of washing up and showering in a very traditional way . 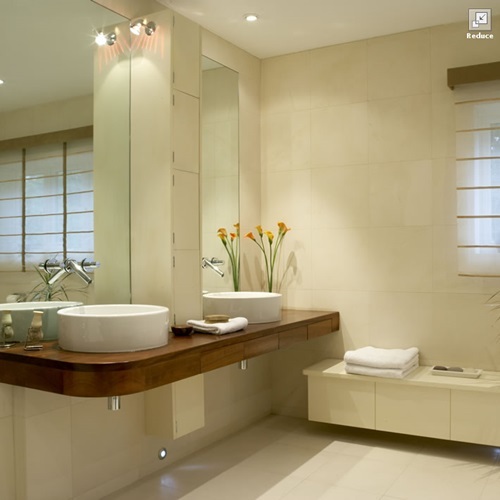 A bigger bathroom will be much easier to be designed in a way that fits all the elements needed for the bathroom are organized in a way that assures beautifying the place to the maximum , most house seekers trying to get houses with big bathrooms which enables them to do the most they can do of it , but even small bathroom can be designed and organized by a smart way that would make it look much bigger than it really is . 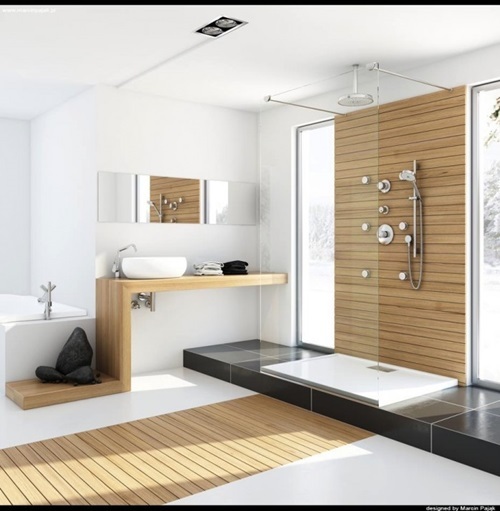 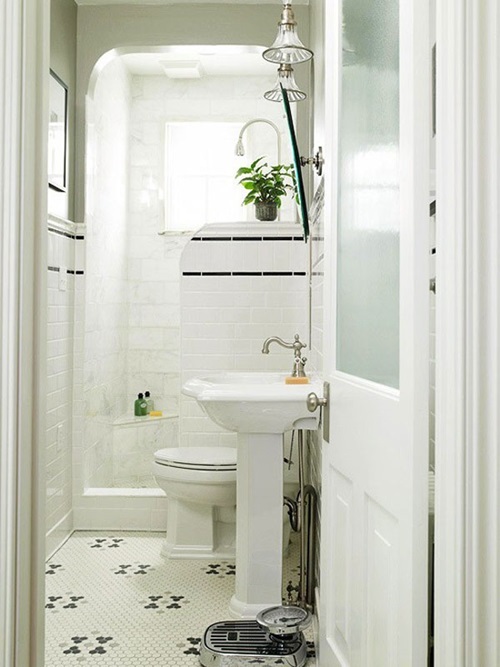 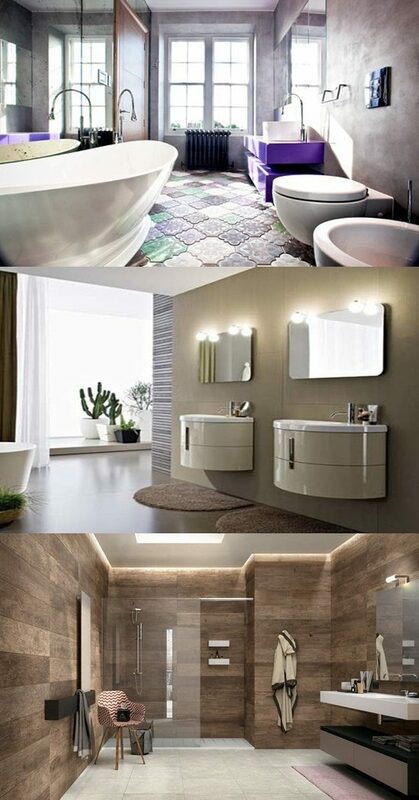 The most important thing to think about with the design is which style you would like for your bathroom? 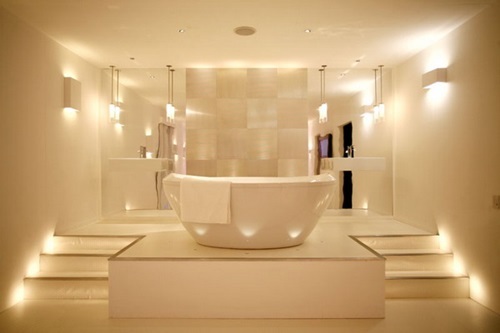 Use a fixture as the basic part of the eventual look , concentrate your focus on the bathtub make sure it is modern and stylish , if you have the luxury of a big bathroom then ” drop in bathtub ” and ” free standing bathtub ” will feel luxurious but if the case is the opposite then a ” corner tub ” would be stylish and fits in the space correctly . 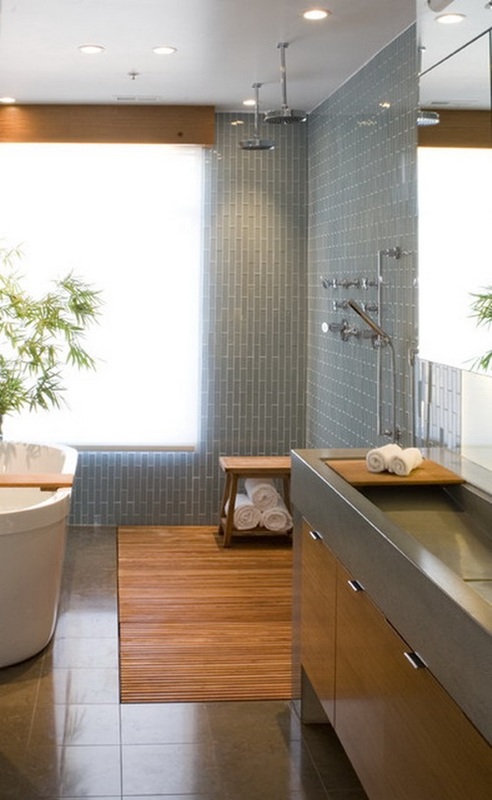 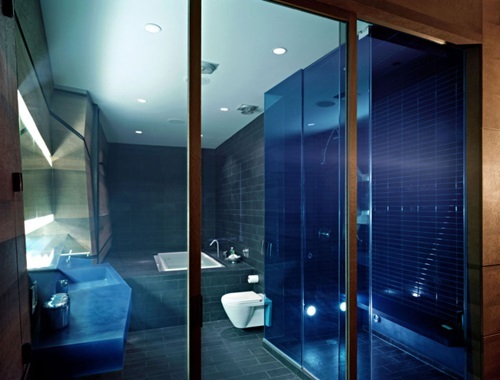 Modern designed bathrooms must involve glass and plenty or mirrors . 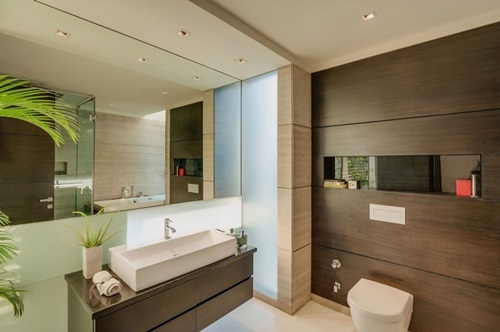 the reflective surfaces succeeds to achieve the main goal which is making the bathroom look royal and glamorous, use stainless steel or glass tiles to keep up with the highest trend of fashion for contemporary bathrooms . 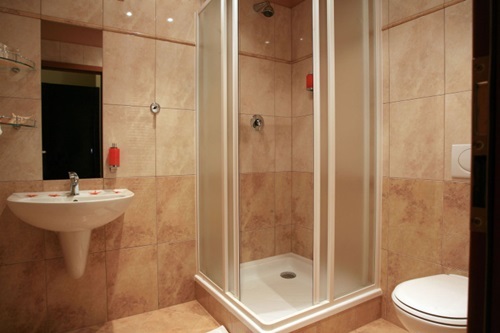 Use glass doors for the showering area instead of the traditional bathroom curtains , bathroom cabinets are very important and one of the first elements to catch someone’s eyes when they enter the room , Bathroom cabinets also help to organize the overall look for the bathroom and make it look more tidy and organized .